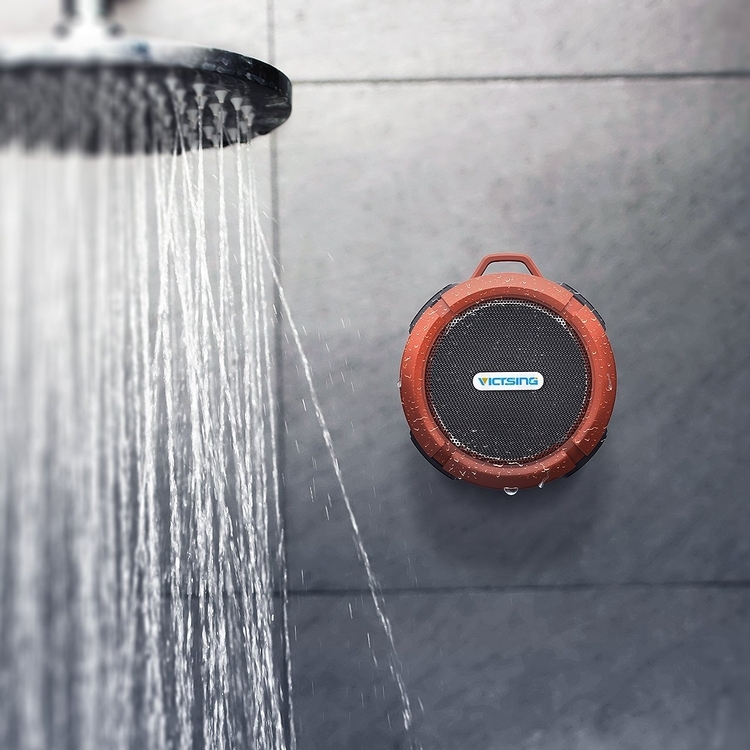 Advanced Digital Sound, Noise/wind Reduction Technology, and Unique Loudspeaker Cavity Structure to Deliver Premium Acoustic Sound and Enriched Music Listening Experiences with Full Spectrum Coverage, Crispy High Note.Not a Waterproof Bluetooth Speaker but Water Resistant, Full Featured Ergonomic Human Engineering Design with Detachable Suction Cup and Snaphook, Water-resistant and Splash-proof Surface to Increase Mobility. 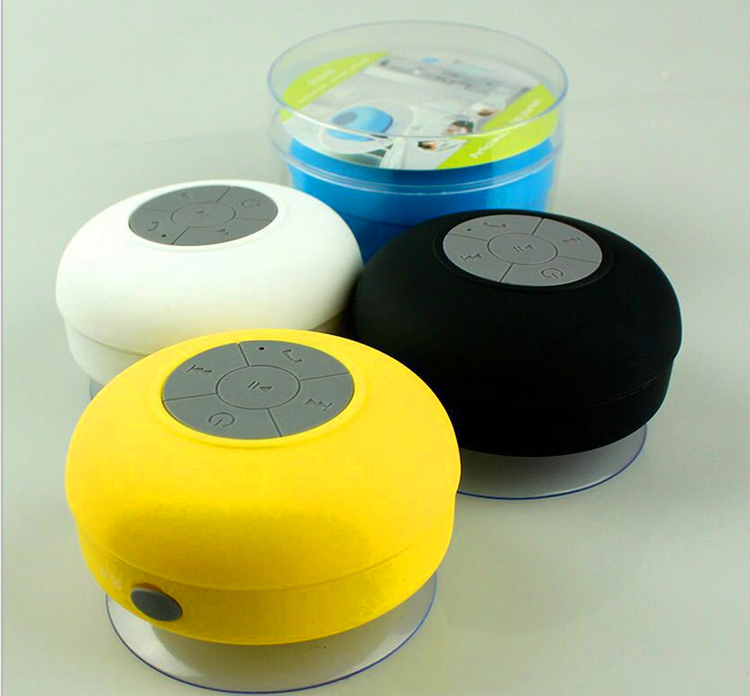 The bluetooth speaker can be used in bathroom, at the beach or by pool side. 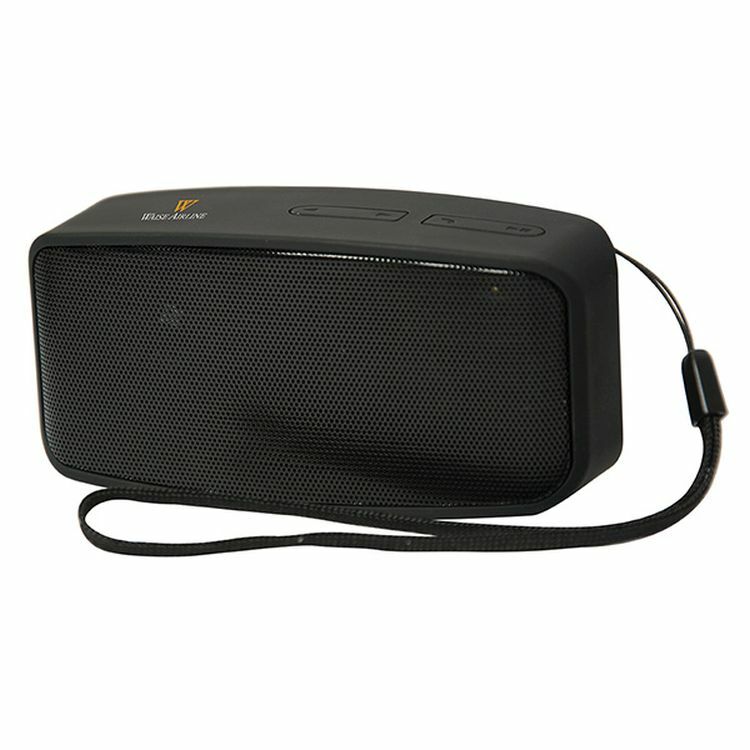 It takes hands-free phone calls, has a build-in microphone and automatically pairs when in range - Bluetooth range is 33 feet. Custom logo is available.Price includes one color one side one location with silkscreen.